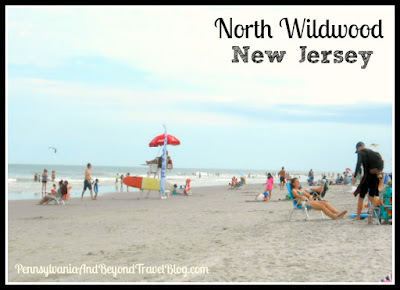 We love visiting the south Jersey Shore area and our favorite place to visit is North Wildwood in New Jersey. If you've never visited North Wildwood, it sits on the island to the north of Wildwood and Wildwood Crest. Yes folks, there are 3 different coastal towns situated on this one island! I've been visiting this area at least twice a year for the past 15 years. I love that it's NOT as crowded as other areas on the island and it definitely has that laid-back feeling and atmosphere. The homes in this area are gorgeous and you'll find a lot less hotels here too. There are some, but not hundreds upon hundreds like you'll find in other areas. You'll find several restaurants, Irish pubs, a few bars, two miniature golf courses, ice cream shops and of course...stores that you can shop at to buy your gifts and souvenirs. If you love seafood, we love ordering our takeout seafood from Rick's Seafood. If you're looking for a great place to grab a beer and/or cocktail, try Westy's Irish Pub. 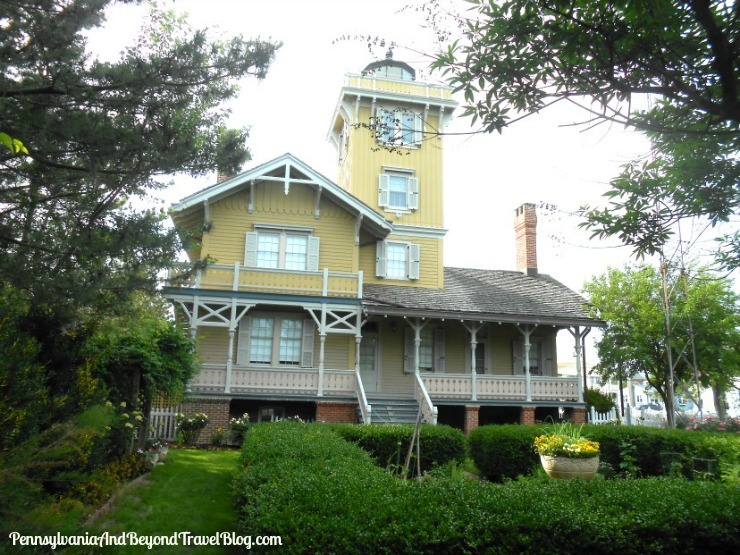 This part of the island is home to the world famous Hereford Inlet Lighthouse, which is a victorian-style lighthouse that is over 120+ years old. The lighthouse has some beautiful botanical gardens located on their property and you can walk around there for FREE. If you want to tour the inside of the lighthouse, you'll have to pay a small fee to do that. All of the beaches in North Wildwood are FREE, no beach tags required! You can find FREE and paid-metered parking nearby. The beaches are not as wide as the ones located down in Crest but they're a decent size. I love the beautiful white sand and these beaches are extremely well-maintained! Every day you see the workers out there cleaning them up & keeping after them. The majority of the beaches on this part of the island are life guard protected beaches during the summer season. You'll always want to pay attention to the signage and the life guard's instructions because some areas on the north side tend to have issues with rip currents before, during & after storms. The storm doesn't even need to hit the island and can be several hundred miles off the coast and still cause rip currents & high waves along the shores. Hereford Inlet Park which sits really close to the lighthouse and right along the North Wildwood Seawall often holds free music concerts throughout the summer season. They don't have a LOT of seating, but there are some benches to sit on. If you're going to attend an event, try to take some portable chairs along with you. 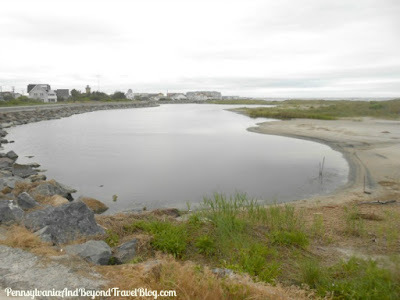 When we visit the island one of my favorite things to do is walk on the North Wildwood Seawall. This seawall offers you some of the prettiest and best views of the Atlantic Ocean and the ONLY views of the Hereford Inlet. As we walk on the paved seawall we often have the chance to observe various seabirds playing around in the water, rocks or on the beach. In addition, we've spotted dolphins several times while we've been up on the seawall. Looking for the best time of the year to visit the area? In my honest opinion, late May, June, September and the first two weeks in October are awesome times to visit North Wildwood. The weather is fairly warm and a lot of the big tourist crowds aren't here. You'll still find visitors, but not massive crowds like you typically see during the months of July and August. North Wildwood has everything to offer a beach vacation traveler. I prefer this part of the island over the others due to being less crowded and more low-key. You can learn more about this area and other Jersey Shore locations by checking out the New Jersey category here on our travel blog. Note: All photos are clickable. Click on each photo to have it open up into a slide show and in an automatic enlarged sized, so that you can view all of the pretty details. 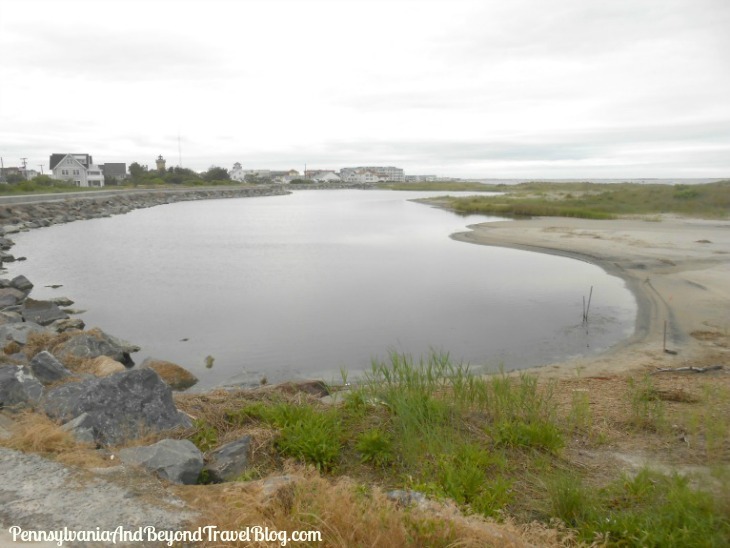 I am always impressed by your reviews and photos of North Wildwood. I love that the beaches are free and not overcrowded.